At last! 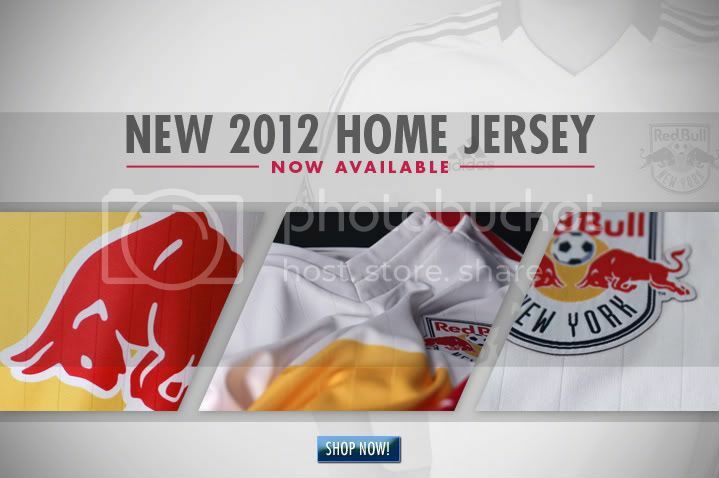 What every Red Bulls fan has been waiting for, and just in time for the Holidays! Yep, the new home kit is out and it's pretty nice, if I do say so myself. It almost replicates the design of last year's stunning away kit, except the 2012 home version has a v-neck and also sports a subtle pinstripe stitch. That said, it's a massive improvement from the home kit we've had the past two seasons - with the awful button thing down the front and the equally as awful red stripes on the sleeves. In fact, here's a side-by-side comparison for you. If you're so inclined and need to buy one RIGHT NOW (starting at a hefty $88.00), you can click here to do so. So, do you like the design? Do you find it bland or a spectacular improvement? Are you buying one right this second? Give us some comments below. The latest player to be linked with a move to the Red Bulls is Spanish forward Kepa Blanco (who??? ), currently plying his trade at Spanish second division club Recreativo de Huelva. The article linked states that his reps have been contacted by RBNY, as well as Philly and the Galaxy. Another player that's been (sort of) linked with RBNY is, Italian born, Swedish midfielder Valentino Lai. The Article says he's had an offer from an MLS Club. He's also played with (perennially injured) RBNY midfielder Brian Nielsen at Sweden's Vejle Boldklub. So, I ask you, what other MLS club could possibly be interested? Red Bulls forward Juan Agudelo will add Liverpool to his off-season destinations. The young lad will have a training stint with the Mighty Reds. Agudelo recently completed a training stint with Stuttgart, of the German Bundesliga. 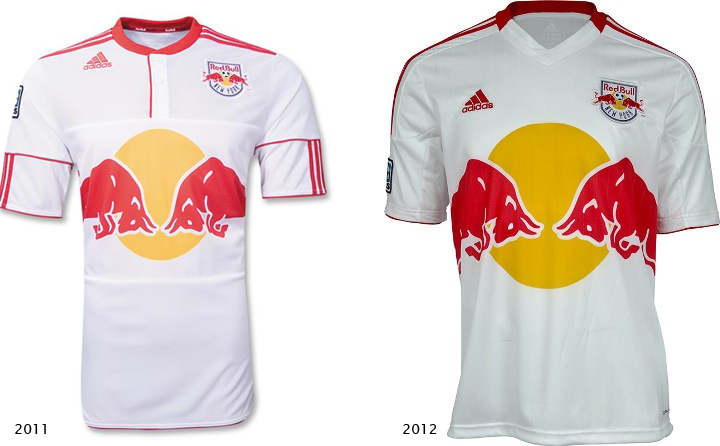 Three Red Bulls players will be eligible for the Re-Entry Draft process, which begins tomorrow. The Red Bulls will have the 11th pick, and I'm hoping they can pick up this guy. The date for our 2012 Home Opener has been announced. That's it for now. Viper Out!